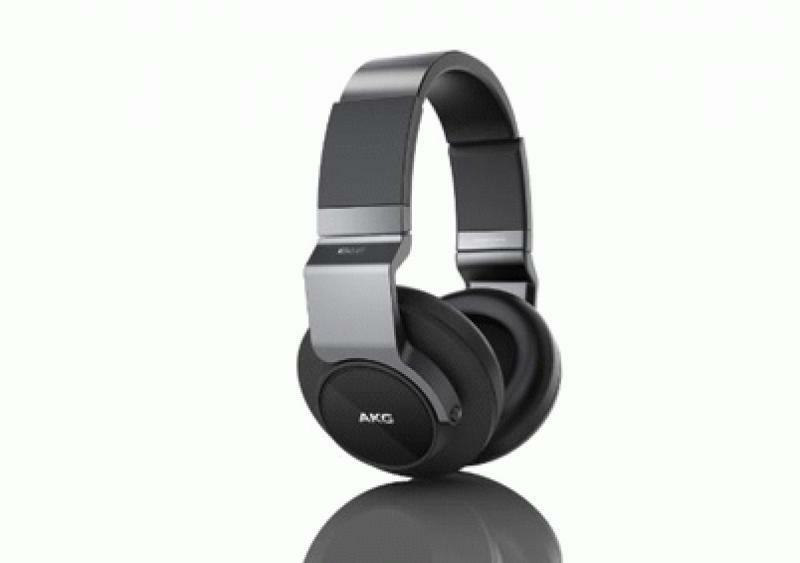 The two new models of lightweight over-ear AKG headphones blend studio quality sound with forward-looking design. The AKG K845BT features wireless Bluetooth connectivity. The AKG K545 comes with a choice of detachable inline control microphone cables for both Apple and Android users. The AKG K845BT takes the best features of the AKG 550s and applies them to its lightweight wireless design. It starts with AKG's largest 50 mm drivers which are responsible for the reported 20 Hz to 20 kHz frequency response and full-bodied bass. Bluetooth wireless streaming gets the music from your player to the AKG K845BTs, with an assist from Near Field Communication (NFC) that makes Bluetooth pairing as easy as pressing a button. Users will appreciate the protein leather ear cushions, which host a microphone for phone calls. Control buttons allow for taking and ending calls and commanding music playback without having to remove the headphones. The AKG K545 features the same 20 Hz to 20 kHz frequency response and rich bass, using the same AKG 50 mm drivers as its wireless cousin, in a wired headphone design that's designed for private listening. Smartphone users will appreciate the two detachable inline control microphone cables, one for iOS users, and one for Android that let you control the music and take calls without missing a beat. The AKG K845BT wireless headphones are available in two color combinations, and the AKG K545 wired phones come in four colors. Both models feature a fold-flat swiveling mechanism, and come with a carrying case. The AKG K845 and AKG K545 are available from www.akg.com for $299 and $249 respectively.